Red Army Bet previews Day Two of the Grand National meeting at Aintree, providing you with betting tips and enhanced odds. Thursday is Ladies Day at Aintree complete with all the colour and excitement provided by this iconic occasion in the British racing calendar, but as well as the fashion and festivities there is also some top quality racing on show ahead of the Grand National which takes place on Saturday. The Melling Chase goes off at 15:25 and is a Grade 1 National Hunt Chase race run over two miles and four furlongs, for horses aged five years and upwards and Politologue got the better of Min in a fantastic finish 12 months with Paul Nicholls’ grey arriving here on the back of a sterling effort in the Champion Chase when running the mighty Altior close. The second big race of day two is the Sefton Novices’ Hurdle at 16:40 and is a Grade 1 National Hunt Novices’ Hurdle race run over a distance of just over three miles for horses aged four years and older which was won by Santini in 2018 for jockey Nico de Boinville and trainer Nicky Henderson with Champ looking to go off as favourite this time around. Politologue returns to Aintree in fine form after finishing second behind Altior in the Champion Chase at last month’s Cheltenham Festival and will be relishing another duel with Min who he beat by a neck in this race last season with punters anticipating another fine contest this time around. Politologue is bidding to become the first horse since Voy Por Ustedes in 2009 to land back-to-back victories and appears in decent shape having given Altior a fight when runner-up to the Nicky Henderson star in the Queen Mother Champion Chase at Pestbury Park last month. Min, on the other hand, arrives on Merseyside with something to prove having finished a disappointing fifth in the same race but can’t be discounted to bounce back with a bang at a price of 4.00* in what looks to be a tightly contested affair. Waiting Patiently is looking to get back to winning ways after being trounced by the Nicholls-trained Cyrname as he looked for a second victory in the Ascot Chase in February and looks likely to go off as 3.00* favourite in a small but competitive field completed by Nicky Henderson’s Top Notch, Woodland Opera from Jessica Harrington’s stable, Harry Fry’s Hell’s Kitchen and God’s Own who won this race in 2016. 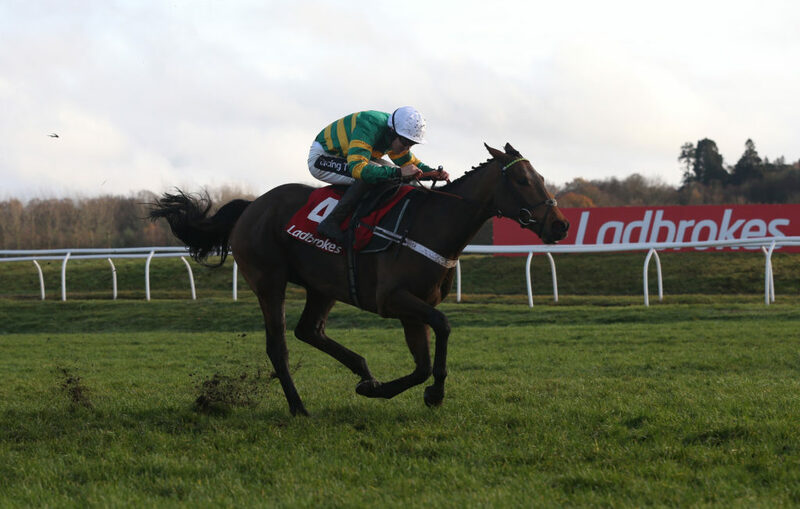 Champ‘s winning run came to an end when finishing runner-up to City Island in the Ballymore at the Cheltenham Festival last month and it will be interesting to see if the step up to three miles suits him and is currently 3.75* to get back to winning ways here. Stablemate Downtown Getaway got off the mark following an epic battle with Champagne Well at Ascot and the two will renew their rivalry here and both should be suited by the test of stamina, while Dallas Des Pictons travelled well when finishing second in the Martin Pipe at the Festival and is another who will appreciate the return to this trip. However, all eyes will be on Emitom, who has gone from strength to strength this season and showed plenty of character when winning under a double penalty last time out and is not out of his comfort zone among Grade 1 company so perhaps it’s not surprising that he can be backed at 5.50* to take this one. Of the others in contention Lisnagar Oscar, who represents the Rebecca Curtis yard has impressed of late and finished fifth in the Albert Bartlett at Cheltenham in March and should be better suited by this flatter track, so can’t be discounted at odds of 7.50* while the Henry De Bromhead trained Walk Away also catches the eye at rather attractive price and has every chance of a place if not more.